When you’re raising a teenager, your house can feel like a war-zone that’s scattered with potential land mines masquerading as casual questions. Every interaction can feel like it has the potential to blow up in your respective faces, leaving parents wondering what the safest course of action is in terms of avoiding an argument. During the tumultuous teenage years, these are 10 of the most reliable ways to avoid fighting with your child. Establish Rational Boundaries – During adolescence, your teen is revisiting the same mindset of early toddlerhood that leaves her looking for ways to test boundaries as a means of asserting her independence from you. Making sure that she knows some boundaries cannot be challenged lays a foundation for calm, rational interaction. Just be sure before you make those rules that you understand your teen’s need for a reasonable amount of independence, and avoid overly harsh authoritarian rules that leave no room for such expression. Shift Your Perspective – As an adult parent of a teenager, it can be difficult to remember your own battles during the tender years leading up to adulthood. Before flying off of the proverbial handle, try to remember how you felt as a teen, so that you can see things from your own teenager’s perspective. Refuse to Escalate the Situation – When you’re standing face to face with a raging, screaming teen that pays no heed to the feelings of anyone around her as she expresses her frustration, it’s easy to fall into the trap of shouting right back at her. By maintaining your composure and refusing to let the situation escalate into a full-on altercation, you’re effectively maintaining control of the confrontation without adding fuel to the fire. Practice Good Listening Skills – Sometimes a teen feels as if he’s not being truly heard and in response will lash out with anger, when all he really wants is to know that his viewpoints and opinions are being listened to. Taking the time to ask your child how he feels and actually listening to the answer he gives can diffuse many arguments before they start. Create a “No Judgment” Zone for Tricky Discussions – Teenagers face a variety of difficult choices and situations, and those who feel as if they have nowhere to turn for advice due to a fear of parental judgment or punishment can internalize that stress, leading to nasty arguments borne of frustration. Making sure that your child knows she can safely approach you with difficult questions can eliminate that frustration, making for a more peaceful environment within your home. Know When to Compromise – As a parent, it’s often difficult to admit when you’re being unreasonable and concede an argument, or at least to make compromises when you’ve reached an impasse. Mastering the art of a sane compromise with your teen, however, is the key to keeping a tense discussion from escalating. Understand When to Walk Away – When you can’t hold on to your temper, it’s okay to walk away. If you ascribe to a philosophy of walking away to let your temper cool, though, it’s essential that you afford your teenager the same respect. Resist the temptation to follow her in order to continue a diatribe; it’ll only lead to an even nastier confrontation. Actively Avoid Triggers – There are some subjects that bring out a passionate reaction in everyone, and those triggers differ from one person to the next. Your teenager is no different, and you know the things that will upset her before you discuss them. Avoid the subjects you know will upset your child, especially if there’s no real reason for discussing them. Refuse to Reward the Silent Treatment – The silent treatment is infuriating for anyone, but it’s important that you not reward that behavior from your teen. Attempting to draw him out with false cheerfulness or prodding him to talk will only blow up in your face, so let him stew without interference for a while. Avoid Drawing Comparisons – Telling your teenager that you never acted the way he does, or illustrating just how much more tolerant of a parent you are because you don’t punish him the way you would have been punished for behaving in such a manner serves absolutely no productive purpose. Remember that your teen is trying to establish himself as a separate entity from you; drawing comparisons, even when you’re just looking for common ground, can ultimately be counterproductive. Making a concerted effort to foster an open, honest relationship with your teen can make it easier to avoid the worst arguments, but the occasional disagreement is pretty much par for the course. Rather than dwelling on an argument after it happens, try to think about how you could have handled it differently so that you can apply that knowledge the next time negotiations become tense. Follow me on Twitter and join me on Facebook for more parenting articles. Being a parent of a teen is hard enough – when the holidays come along sometimes the stress can be overwhelming. Are they driving you to your wit’s end? When a teen threatens to runaway or actually does, it can be a parent’s nightmare. It seems a teenager doesn’t seem to realize that holidays are supposed to be a time of joy. The National Runaway Switchboard estimates that up to 2.8 million children and teens run away from home each year. Many return home within the first 24 hours, but there are still a staggering number that never make it home. Building a good foundation increases the potential for a good relationship. If only it was this simple. 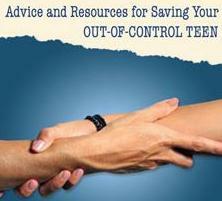 Here are some effective tips for dealing with your teenager. What should I do if my child runs away from home? The more tips the better when it comes to parenting. Give kids a map and maybe, just maybe they’ll find their way. What should I do when my child comes back? Normal adolescent rebellion or something more serious? Good parenting is a combination of role modeling, teaching and friendship. Nothing erodes the delicate parent/teen relationship faster than for a child to hear one thing and see another. Tips for Parents: Have Fun! Learning life’s lessons doesn’t always have to be serious. Lighten up and have some fun. Step-parenting adds another dimension, particularly when your blended family includes biological and step-children. 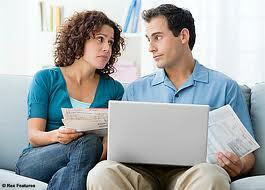 Parents of teenagers may have the toughest job around. Setting rules and guidelines for the children in your care helps them learn safe, healthy and socially acceptable behavior. Navigating through life isn’t easy, but with parents acting as guideposts the trip is a little easier. Find out what you should be looking for. Know what your kids are doing on line. Talk, be open, educate yourself, and check it out. Courtesy of National Runaway Switchboard. When it comes to sending your child to residential therapy it is probably one of the hardest decisions a parent can make. It just doesn’t seem normal to send your teenager to a behavioral modification program. Let’s face it – we all know that sending them to college is part of the circle of life, but no one prepares us for the potholes that some families face – residential treatment centers. As the holidays approach a teenager’s behavior can sometimes escalate and this can leave a parent with a decision that they don’t want to make. How can they send their child into a teen help program during this time of the year? As a Parent Advocate and Parent Consultant, I share with parents that you have many years ahead of you to have many wonderful holidays together – however in some cases, it can mean saving your child’s life by removing them from not-so-safe situations – especially if they are involved in drug use or hanging out with unsavory groups of what they consider friends. With the extra time off from school -it sometimes can add up to more time for trouble. Are you struggling with your teenager? Confused about what school or program is best for their needs? I founded Parent’s Universal Resource Experts, Inc over a decade ago for parents that are at their wit’s end – after I was duped and my daughter abused at a program that mislead us. Our experiences are only to help educate parents – there are more good programs than there are not so good one. It is up to you to do your due diligence. Remember, family is a priority – your child’s welfare comes first. There will always be more holidays – let’s be sure your child’s safety and security are first and foremost. After 12 years, my organization has been recognized for helping literally thousands of parents and families with their tweens, teens and young adults. Recently I was interviewed by Career Thoughts. Parents’ Universal Resource Experts, Inc was created after I was duped online by trying to get my own daughter help. I was a parent at my wit’s end. I was vulnerable – I was scammed – and my daughter suffered the consequences. Many people have asked about her, and she is now a grown woman, successful in her career and has two children of her own. We have overcome the hurdles – not because of the horrific program she went to, but in spite of it – and because of the fantastic help we found after it to help de-programize her from the damage they did to her. I always share with parents to learn from my mistake and gain from my knowledge. That is the biggest gift I can give. Read the article -click here. Residential Therapy: Are you ready to made the leap? You have finally reached your wit’s end. It has come to a point where you have exhausted all your local resources. The one on one therapy is no longer working, if it ever did. The fact is, it is a fight to even get your teen to attend a session. If you do get them to attend – how many times to they actually manipulate the therapist to actually believe there isn’t an issue at all…… in some instances the blame can come right back to the parent! Yes, manipulation of a teen is priceless. They are the best at what they do. However now is the time for the parent to be the best at what they are – a parent. You decided it is time for residential therapy and you jump on the Internet and you start with Google by typing in key words. Teen help, struggling teens, defiant teens, teen help programs, military schools, reform schools, troubled teens, rebellious teens, etc. What you will find is a list of marketing arms that are very quick to “sell you a group of programs” rather than discuss what is best for your individual teenager. I always caution parents to beware of these toll free numbers and marketing arms that you have no clue where you are calling and who is connected to what. I once was at my wit’s end – my story is what prompted me to created an organization to help educate parents about the big business of “teen help”. Take a few minutes to read – “A Parent’s True Story” and you will realize that although you absolutely need to get your son or daughter help, you also need to take the time to do your research. I have listed some “Do’s and Don’ts” when searching – these are some great helpful hints for parents. This is such a major emotional and financial decision that I encourage to read through my website and learn as much as you can before making a decision. I firmly believe in residential programs – I just also believe you need to select the right one for your child’s needs. Visit www.helpyourteens.com for more information. You have finally reached your wit’s end with your teenager. You have exhausted all your local resources, your nerves are fried, you have removed all their privileges and nothing is making a difference – you are literally a hostage to your own child! It is time for outside help… but you get online and realize first the sticker shock…. (price of programs and schools) then you see all these horror stories – EXACTLY WHO SHOULD YOU BELIEVE? Years ago I was in your exact spot – and I didn’t listen my gut, and the results were not good, however it had a purpose. The reason was to be a part of helping parents not make the mistakes I did. When you get online you will see many toll free numbers going to places unknown. Usually sales reps that will more than happily give you a list of programs that they believe will be perfect for your child – but how do they know? Point is – you don’t want a sales rep – you don’t want a marketing arm, you want an owner, a director or someone that will be vested in your child’s recovery and healing process. Someone that will be held accountable – their reputation will be reflected upon your child’s success. I created an organization that helps educate parents to better understand the big business of residential therapy. There are questions parents need to ask, that many don’t think about while they are desperate for help such as when will they be able to speak with their child or visit their child. I encourage you to visit www.helpyourteens.com and find out more about residential therapy – especially if you are considering the next step. Don’t wait for a crisis to happen. Be prepared. It isn’t street drugs you have to worry about – your kids, teens and tweens can find drugs in your home or a friends home – even more prevalent if a grandparents home. You know how easy it is to forget about a prescription that you never finished and stored in your medicine cabinet. Proper drug disposal protects your loved ones from misuse. Prescription drugs are the most commonly abused drugs among 12-13 year olds. Many of these pills can be found in your medicine cabinet and around your house. The National Association of Boards of Pharmacy Foundation and their AWARxEConsumer Protection Program are helping to stop this growing! April 28 is theDEA National Prescription Drug Take-Back Day. If you have any unused prescription drugs in your home, you can drop them off at the designated collection site in your community on April 28. The DEA coordinates with the local law enforcement and community partners to provide thousands of sites across the country, many of them at police departments, so that the unwanted drugs are disposed of safely and legally. Sites will accept pills, both prescription and nonprescription, for disposal. I had the opportunity to interview the Executive Director of the National Association of Boards of Pharmacy, Dr. Catizone on the dangers of Prescription Drug Abuse. Dr. Catizone is the Executive Director of the National Association of Boards of Pharmacy (NABP) and a licensed pharmacist. He currently serves as a Governor of the Pharmacy Technician Certification Board (PTCB) Board of Directors and Chair of the PTCB Certification Council. Dr. Catizone is regularly called to serve as an expert witness for the US Government in the areas of pharmacy practice and regulation on both the state and national level issues. A) What are the dangers associated with taking prescription drugs that are not prescribed to you. Dr. Catizone: Taking a medication not prescribed for you can lead to serious health consequences, permanent injuries, or death. Centers for Disease Control and Prevention reports that in 2009, 1.2 million emergency department visits were related to the misuse or abuse of prescription drugs. Controlled substance medications have the potential for abuse, and taking these medications if they are not prescribed to you could lead to addiction. Every year, 15,000 people die from an overdose of prescription painkillers, according to the CDC. B) What is the best way to prevent teenagers from abusing prescription drugs? Dr. Catizone: An important step is to talk with teens about the serious dangers of prescription drug abuse. A video recommended by AWARxE, called The Road to Nowhere, tells the story of a teen who experimented with prescription drugs at a party and became addicted to the drugs. A link to the video is available on the AWARxE Get Local Oklahoma page. Teens can visit AWARErx.org for many other resources. C) Are there any other ways to dispose of unused prescription drugs besides DEA prescription drug take-back days? Dr. Catizone: Many cities and counties across the country provide permanent medication disposal programs. Many programs provide a drop-box at a police department—these programs can take controlled substance medications for disposal. Other programs are run by hazardous waste disposal agencies or other entities that cannot accept controlled substance medications, but can take all other unused drugs for safe disposal. Many of the AWARxE Get Local pages have links to local disposal programs, and we are actively expanding these resources. We are happy to take information about local programs and post it on our Web site. Anyone who has information on a disposal program can e-mail the information they have to AWARErx@nabp.net – we will review for inclusion on the respective state’s Get Local page. If there are no drug disposal sites near you, there are options for disposing of drugs at home. The information that comes with your prescription may provide instructions on home disposal. Only some medications should be flushed down the toilet and the US Food and Drug Administration has a list of these drugs on its Web site. If there are no instructions for disposal you can throw the drugs in your home garbage. But first, take them out of the container and mix them with an undesirable substance like coffee grounds or cat litter. More details about drug disposal programs are available on the AWARxE Medication Disposal page. D) How can you tell if someone is abusing prescription drugs and how can you help them stop? Dr. Catizone: Side effects associated with prescription drug abuse include dizziness, loss of appetite, unconsciousness, impaired memory, mood swings, loss of motor coordination, trouble breathing and rapid or irregular heartbeat. The Substance Abuse and Mental Health Services Administration provides an online substance abuse treatment locator and links to resources about addiction and treatment on its Web site. E ) What can parents do to make sure the prescription drugs they do have in their homes will not be abused by their teenagers? Dr. Catizone: Parents should securely store all medications in the household. For example, you may want to lock your medications in a secure cabinet or a medicine safe. In particular, you should securely store controlled substance prescription drugs, such as certain pain medications and ADHD medications. Remember that sometimes prescription drugs are taken out of medicine cabinets by visitors to the home, such as a teen’s guests. If you have pills or medication that is no longer needed or has expired, dispose of it at an authorized DEA Take-Back location, or a local medication disposal program. The next DEA Take-Back Day is April 28, 2012 and collection sites will be located across the country. More information about these events, as well as an alternate method for safely disposing of unneeded drugs in the home garbage, is available on the AWARxE Medication Disposal page. · SAMHSA links to resources about addiction and treatment: http://www.samhsa.gov/treatment/index.aspx.